Mobile-phones become part of life everyone today without mobile phone there is no day run for business or young generation. Sometimes mobile users don’t carry or forget mobile charger or they won’t find any power socket while traveling. When mobile phones run out battery without any socket to charge it is difficult to run our day. In emergency cases certain power banks required to charge mobile phones to get back into our busy life softly. Here with portable power bank charger which is available in Indian market physically or online at cheap rate starting Rs.400/- to Rs.700/- can charge your mobile phone anytime, anywhere. 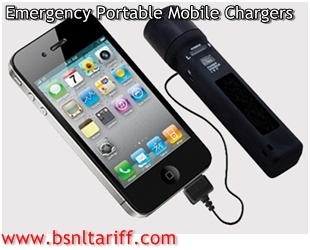 Let’s check few power banks for recharging mobile phones instantly at emergency situations. Power bank from Etech Tube available for Rs.549/- comes with 6 connectors. 2500mAh battery Power bank from Vox Portable USB available for Rs.499/-. 2600mAh battery capacity Power bank from Maxx PBS-26-SDI available for just Rs.399/- only. 2200 mAh battery capacity Power bank from Ambrane P22 available for Rs.580/-. 2600 mAh battery capacity Power bank from Technotree Hame MP3 available for Rs.575/-. 2200 mAh battery capacity Power bank from Adcom APB22 available for Rs.630/- and company claims charging time upto 3 hours. 2600 mAh battery capacity Power bank from Smiledrive Fashion series USB type available for Rs.699/-. 4000 mAh battery capacity Power bank from Ambrane P-401 available with 5 connectors and company claims charging time 5 to 7 hours.